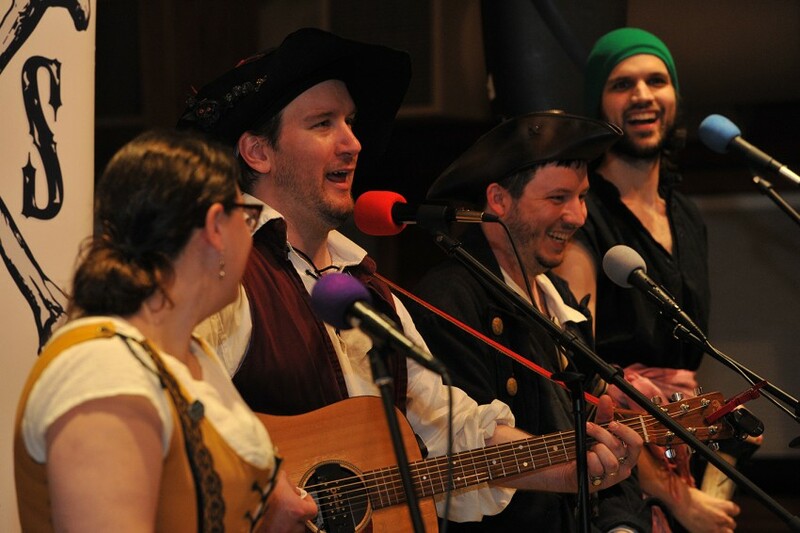 Bone & String offers a rousing good time and glimpse into history through traditional music, songs of the sea, storytelling and assorted shenanigans. They emphasize foot-stomping pub favorites, hypnotic harmonies and thrive off crowd interaction and groan-inducing jokes. Bone & String was formed from an itch many sailors get...adventure. After performing together as a fill-in act, the group grew hungry for more: adding songs, band members and shows so they could travel and entertain the "inner-pirate" in audiences everywhere...or at least as far as they can get crammed into a dinghy (just kidding...it's actually a RAV4 and a Civic).